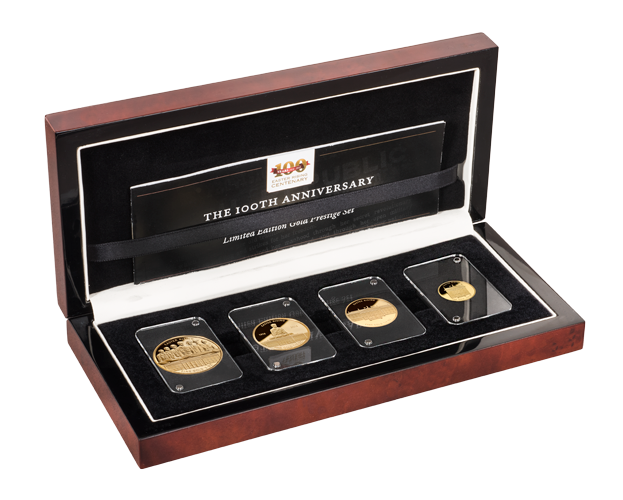 Limited to 1,916 worldwide – however only 100 complete sets. Each set is individually numbered. 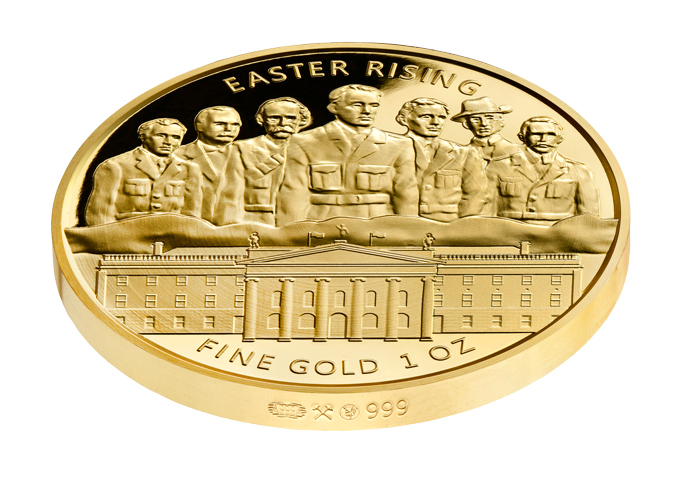 The events of Easter Week 1916 are beautifully commemorated in this exquisite gold medal collection which captures the key symbols of this seminal event in Irish history. 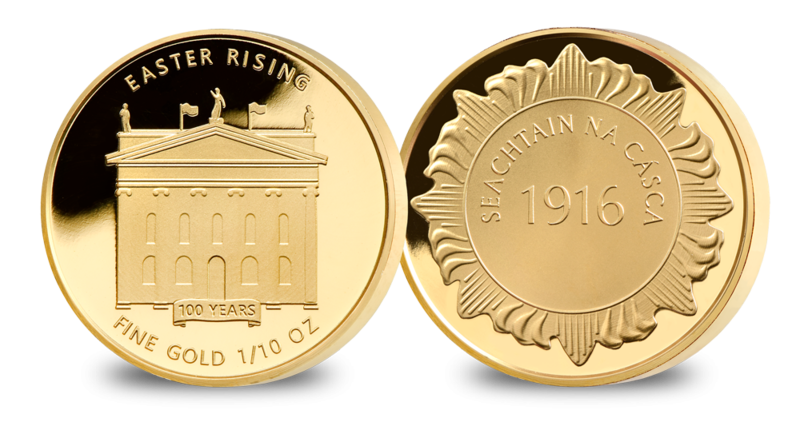 The obverses of the Gold medals depict the General Post Office at the centre of their commemorative designs. It was the GPO that had set an impressive stage for the drama that was about to unfold in Easter Week 1916. 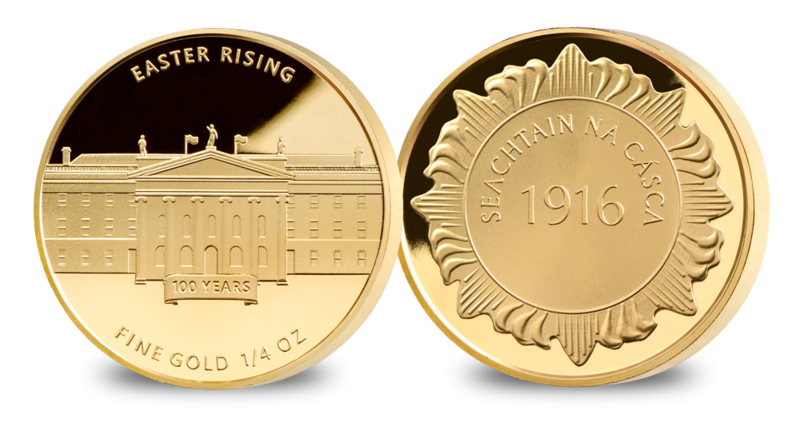 It was the headquarters of the provisional government, and it was on the front steps of the GPO that Pádraig Pearse read aloud the Easter Proclamation to a modest crowd of onlookers. 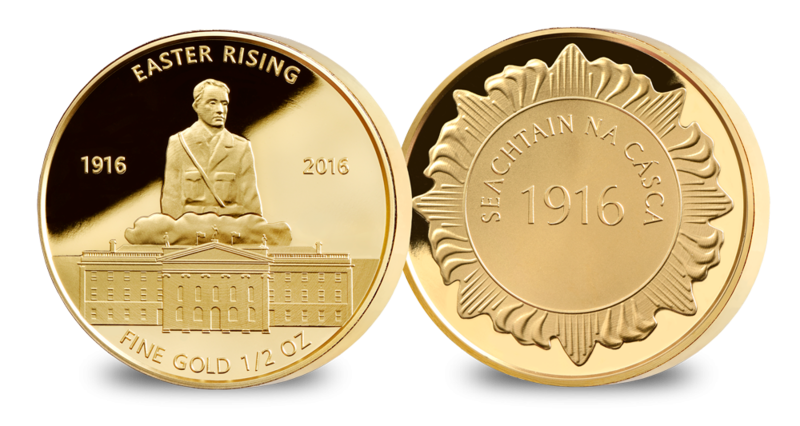 The set was struck in order to commemorate the 100th year anniversary of the 1916 Easter Rising which is undoubtedly the biggest anniversary in Irish history. 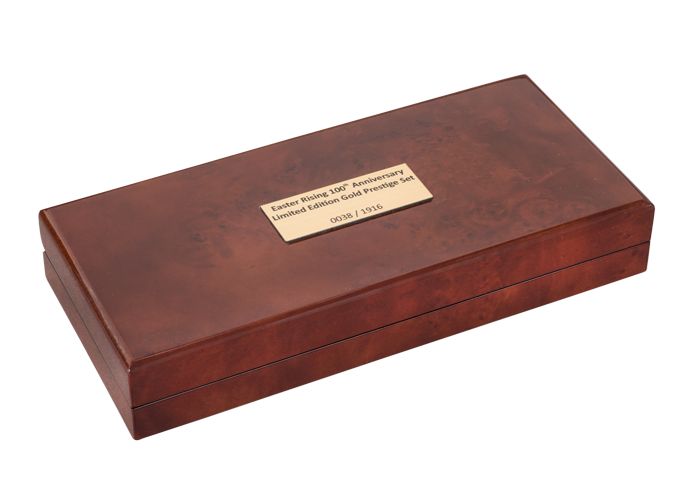 The set has also been struck in the highest proof quality and with each set being individually numbered it really is quite the unique commemoration. 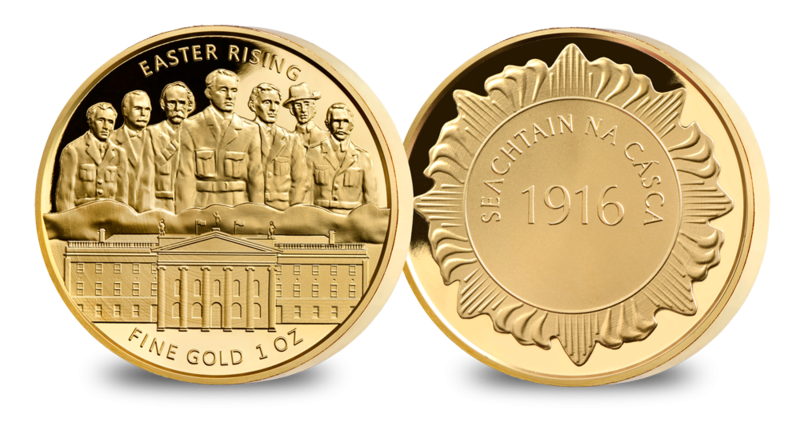 The Seven Signatories’ determination, bravery and sacrifice inspired a nation, rekindled the desire for independence in the national consciousness, and paved the way for an Irish Republic, which would finally be realised just 6 years later.